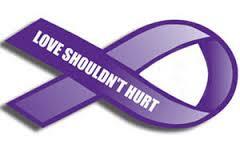 Everyday thousands of men, women, and children fall victim to domestic violence. Tu Casa can help. To help us help those in need, click here. lesbian, living together, or dating. The control restricts the activity and independence of an individual. The control is a violent abuse that includes one or more of physical, emotional/psychological, verbal, sexual, financial/economic, identity, and religious abuse. Physical Abuse: use of physical force against another that injures another person or puts that person at risk of being injured. Physical abuse ranges from pushing, throwing, tripping, slapping, tripping, hitting, kicking, punching, grabbing, choking, shaking and more. Emotional/Psychological and Verbal Abuse: use of words, tone, action, and/or lack of to control, hurt, or humiliate a person. May include ridicule, intimidate, or force. Sexual Abuse: forced or intimidated sexual act or behavior to obtain power and control over the partner. Includes forced sexual contact that degrades and/or humiliate the feelings of shame or helplessness, in regards to body, sexual performance or sexuality. Financial/Economic Abuse: use or misuse of financial or monetary resources of the partner or partnership without their free given consent. May include preventing the partner from working or jeopardizing their employment to gain financial independence, ask for money, having an allowance, and/or taking parts of vehicle to prevent partner to leave. Identity Abuse: using personal characteristics to humiliate, manipulate, and control partner. Spiritual Abuse: using the victim’s religious or spiritual beliefs to manipulate them. Include preventing the victim from practicing their beliefs or ridicule their beliefs. Not sure if you're in an abusive relationship? Take this quick quiz and find out. Domestic violence is likely to occur between the hours of 6:00p.m. – 6:00a.m. Most domestic violence incidents are Never reported. 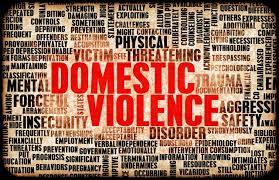 Cost of domestic violence exceeds $5.8 billion a year; about $4.1 billion is towards medical and mental services. Victims lose around 8 million days of work pay. Domestic violence is 3rd leading cause of homelessness for families. About 20% of 1.5 million people obtain a civil protection order. Nearly 1/5 of protection orders have been violated. Every 9 seconds a women is beaten or assaulted in the US. Approximately 85% of domestic violence victims are women. About 25% of women who are victims of domestic violence are beaten while they are pregnant. About 1.3 million women are victims of physical abuse by an intimate partner each year. More than 4 million women are physically assaulted and raped by their partners. Approximately 40% of victims of severe, physical domestic violence are men. 1 out of 14 men are physically assaulted by current/former partner, or date. Nearly 3 million men are physically assaulted. About 835,000 men are assaulted by their partner annually. Men are most likely to be victims of both physical and psychological abuse. About 40% of gay and bisexual men will experience abuse from their partner.